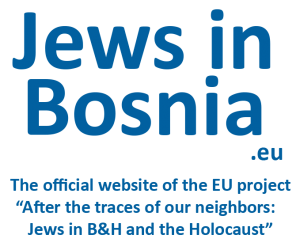 The project includes lectures themed around the life of our Jewish neighbors in Bosnia and Herzegovina. These classes are first of its type in the country. They will be organized by the University of Tuzla, Faculty of Philosophy and project organizer, Austrian Academy of Sciences, while hosting large numbers of prominent university professors and guests from Austria, Germany, Bosnia and Herzegovina, including professors dr. Enes Karić, dr. Husnija Kamberović, dr. Walter Manoschek (University of Vienna), dr. Falk Pingel (Georg Eckert Institut for International Textbook Research and Erinnern.at), Jakob Finci (president of Jewish community in Bosnia and Herzegovina) and others. First guest will be the project leader, dr. Heidemarie Uhl, one of the leading experts for the culture of memory in Europe and guest professor at the Stanford University. First class will be organized in Friday, 19th of September 2014. at the Faculty of Philosophy in Tuzla (12:00 h) on the topic of „Memory and the Holocaust: local, regional and transnational remembrance activities – European experiences“. All lectures are open for public, and lectures of visiting professors are announced in advance. Details for students can be found in Bosnian/Croatian/Serbian version of the site.